Want to find the MonsterInsights real-time report? 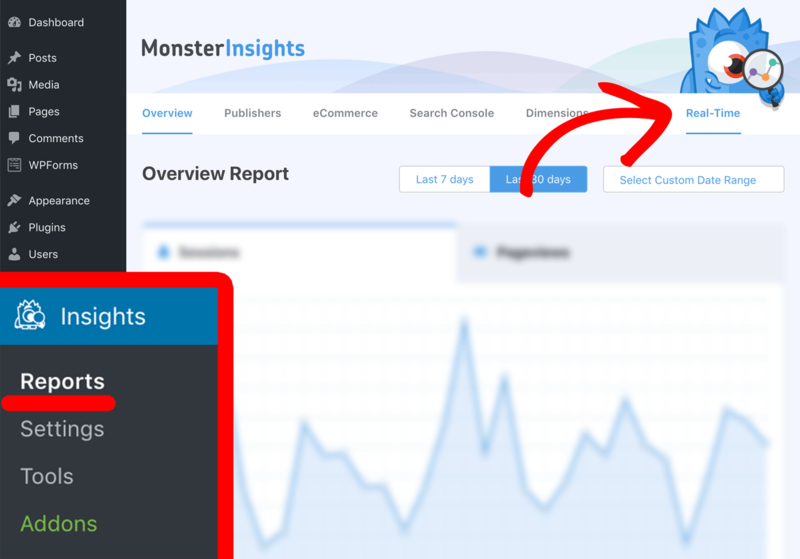 The MonsterInsights real-time report addon allows you to track the visitors on your sites right now from your MonsterInsights reports area inside WordPress. In this guide, we’ll show you how to find your real-time report inside your WordPress site. You have MonsterInsights Plus or higher. MonsterInsights premium is installed and activated. MonsterInsights has been connected with Google Analytics. After the above is complete you can view them under Insights » Reports » Real-time. That’s it! Now you know how to find the real-time report in MonsterInsights. Are you interested in learning more about getting started with the real-time report? Please see our guide How to Get Started with the Real-time Report.